Ready to Run Gallops : Good Friday... Very Good. Charl Pretorius FreeracerMake a note of this date. Friday, 17 October. If you miss it, and don’t get to see the Ready to Run gallops on the TV “loop” after that, you forfeit the right to a slot in next year’s R1.5 Million Emperors Palace Ready to Run Cup. But the action starts the evening before, when some of the nation’s top judges convene at Hartford House, Summerhill, for a celebration of a sale that offers the best odds in the world. The Ready to Run has been promoted by its principal protagonists, Summerhill, as the best source, pound for pound, of feature race performers in the land, and the statistics bear them out. Add to that statement the fact that one in six or seven of the subscribed horses get a run in the country’s fourth richest race, and you have a compelling cocktail. Unsurprisingly, the sale has attracted a record entry of close to 200, and the selectors are beavering away as we write to get the numbers to comply with the auction’s billing as “the best odds in the world”. 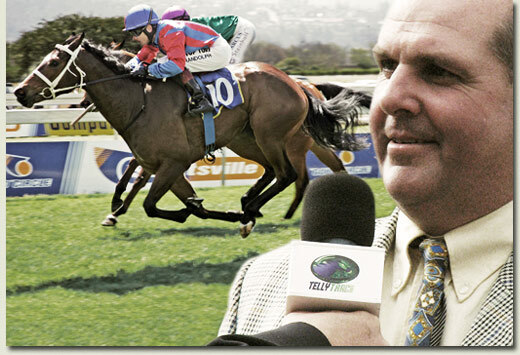 Meanwhile, one of the most successful “exploiters” of the Ready to Run, Mark Dixon, who saddled up Umngazi, the hero of last year’s inaugural running of the Cup, gave notice Saturday that he has another “bomber” lined up for the big prize on 1 November. Mark Dixon’s first-timer Bellagio, racing in the same silks as Umngazi, streaked off with the laurels on her racecourse debut, and his trainer is hopeful he can stretch his speed to the 1400m of Turffontein’s standside track. As a top class jockey himself in his “first life”, Mark has revealed a rare flair in the selection of his “Ready to Runners”, capitalizing on his experience as a quality rider. “My wife and I are fans of the Ready to Run, as we think it offers great value. Even as prices have escalated with the improved quality on the sale, it remains a place where you can buy a really decent horse for respectable money”. Mark, who was seduced by South Africa on his visit to the country for the World Rugby Cup in 1995, confesses to a special admiration, shared by his wife, Hayley, for the progeny of Muhtafal, who he says has everything they look for in a horse - speed, temperament, soundness and reliability.